Review of Oh.’s “Metallia” by Jon Davis on Exposé - Exploring the Boundaries of Rock — Oh. 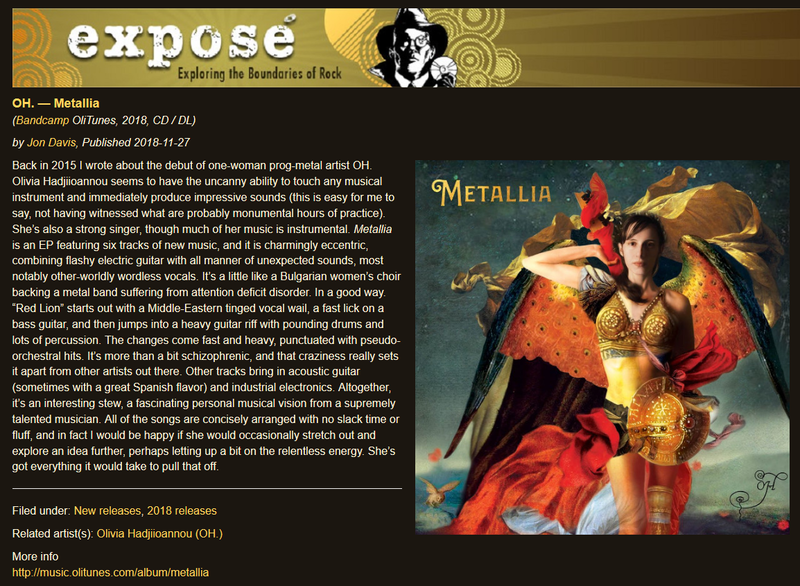 A wonderful review of “Metallia” by Jon Davis on the progressive rock online magazine Exposé. Metallia is an EP featuring six tracks of new music, and it is charmingly eccentric, combining flashy electric guitar with all manner of unexpected sounds, most notably other-worldly wordless vocals. It’s a little like a Bulgarian women’s choir backing a metal band suffering from attention deficit disorder. In a good way. This growth and disconnection is what Exposé is all about. 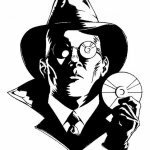 Our primary focus is the music that the mainstream ignores; music whose roots seem to have originated somewhere just outside the pop/rock mainstream, but has progressed onwards toward the boundaries of rock, where it meets jazz, classical, folk, avant-garde, electronic and experimental, going well beyond the standard forms into areas of stark and stunning originality. With Exposé, the focus is on the exploration.